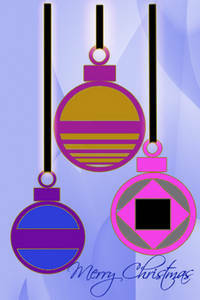 Description: This is a free Christmas clipart picture of three ornaments hanging down. The decorations in this image are hanging on different lengths of black cord. The message, "Merry Christmas" is written in fancy cursive.